Honking Donkey has created this privacy statement in order to demonstrate our firm commitment to privacy. The following discloses our information gathering and dissemination practices for this web site. We do not sell, trade or rent your personal information to others. There may be occasions when Honking Donkey requests personally identifiable information in order to provide you with correspondence or otherwise. However, Honking Donkey only gathers personally identifiable information, such as names, addresses, e-mail addresses, etc., when you voluntarily submit the same. You may choose to "opt-out" of receiving future mailings that we may make to you at any time. No part of the information you have provided would be sold, disclosed, or made accessible to third-parties or to the public. Such information may be disclosed under direct and official request from law enforcement agencies given proper documentation. Users should be aware that the Honking Donkey web site might link them to other web sites or third parties. This privacy statement applies to the activities within Honking Donkey web sites and does not apply to activities on the web sites of third parties. Honking Donkey is not responsible for the activities or practices of those web sites. Honking Donkey web servers automatically track IP addresses, platform types, domain names, and browser information for system administration. None of this data is personally identifiable. Honking Donkey analyzes this data in the aggregate to determine how many visitors it has, and which web pages are of interest. Honking Donkey uses this data to improve its web site, products, and services such that they remain appealing and viable. Honking Donkey respects the copyright laws and does not knowingly violate such. All materials on this site, including, but not limited to images, illustrations, audio clips, video clips (the "Materials") are protected by copyright laws. These materials are owned or licensed by Honking Donkey.com, or are used with permission, or have been submitted for usage, and / or conform to applicable copyright laws. No material from Honking Donkey.com or any other web site owned or operated by Honking Donkey may be copied, reproduced, republished, uploaded, posted, transmitted, linked-to, or distributed in any way (especially commercial) except as specified in the: "Restrictions Pertaining to the Use of Materials" shown below within the Terms and Conditions of this agreement text. ©Honking Donkey. All rights reserved. Any violation of copyright or intellectual property law is prohibited. The content provided by Honking Donkey and the overall look and feel of the Honking Donkey site is protected by U.S. copyright, trademark and other applicable intellectual property and proprietary rights laws and international treaties. Reproduction in whole or in part in any form or medium without express written permission of Honking Donkey (outside the Restrictions Pertaining to the Use of Materials as detailed below) is prohibited. All visitors to this site are required to agree to these terms and conditions. If you do not agree, you should not use this site. By accessing the site you indicate your acknowledgment and acceptance of these terms and conditions. Honking Donkey reserves the right to change this policy at any time. Check this page periodically for changes. 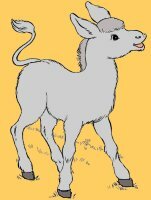 Individuals may print the free materials provided on Honking Donkey.com for their own personal, non-commercial use only, provided that they retain and display all copyright information or other required notices on the materials. You may not reprint, distribute, save electronically, modify, transmit, post to a web site, forum, blog etc. any materials from the Honking Donkey web site without express written permission from Honking Donkey.com. Teachers, educational professionals, caregivers and instructional class leaders associated with a recognized public or private schools, day care centers, church and/or nonprofit organizations (for example: Sunday / VBS school instruction and youth camps, YMCA, scouting activities) may print and distribute materials (with copyright and/or URL information intact) in printed format to their students for use in the classroom or at home. Teachers / instructors may additionally allow their class to access the Honking Donkey. com web site (online) for the purpose of obtaining any of the available materials or interacting with any of the materials available on the site. This site is provided by Honking Donkey on an "as is" basis. Honking Donkey makes no representations or warranties, express or implied, to the information, services, products, and materials included on this site. Honking Donkey disclaims all warranties, to the full extent permissible by applicable law, express or implied, including but not limited to, implied warranties of merchantability and fitness for a particular purpose. Honking Donkey will not be liable for any damages arising from the use of this site, including but not limited to direct, indirect, incidental punitive and consequential damages. Not responsible for accuracy/ correctness, typographical, and/or photographic errors. The Honking Donkey "family" of URL's collectively known as the Honking Donkey.com site are owned and operated by Honking Donkey.com. as an internet media and content provider. Honking Donkey.com does not represent or warrant that the content on this web site(s) are appropriate or available for use in any specific location. If you choose to access this site from any internet location, you do so at your own risk and are responsible for compliance with any and all local laws. This agreement shall be governed by and construed in accordance with the laws of the State of North Carolina,USA, as it is applied to agreements entered into and performed within that State. Any action brought to enforce this agreement or matters related to this site shall be brought in either the State or Federal Courts of North Carolina. If any provision of this agreement is deemed void, unlawful or otherwise unenforceable for any reason, that provision shall be severed from this agreement and the remaining provisions of this agreement shall remain in force.